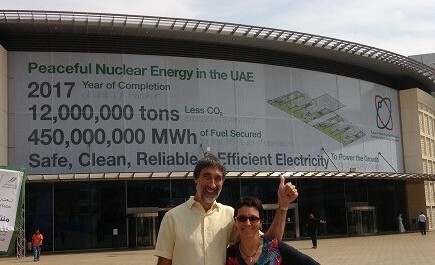 I’m currently in Dubai at the 2012 World Energy Forum, as part of a delegation from the Science Council for Global Initiatives. Tomorrow (24 Oct) we will run symposium on “New Nuclear”, which will be chaired by Tom Blees and feature talks from Dr Eric Loewen (GE), Dr Alexander Bychkov (IAEA), Dr Evgeny Velikhov (Kurchatov Institute) and me (Dr Barry Brook, University of Adelaide). I will also chair a session later in the afternoon on “Vision for a Sustainable Future”, just before the closing address. In preparation for this meeting and as a result of a focussed conference at University of California Berkeley in early October, a white paper on the Integral Fast Reactor was prepared by Tom and me, on behalf of SCGI, and has garnered signatories from 8 key countries, including prominent people not attending the Berkeley meeting, such as climatologist Jim Hansen. The white paper is given below. Demonstrating a credible and acceptable way to safely recycle used nuclear fuel will clear a socially acceptable pathway for nuclear fission to be a major low-carbon energy source for this century. We advocate a hastened timetable for commercial demonstration of Generation IV nuclear technology, via construction of a prototype reactor (the PRISM design, based on the Integral Fast Reactor project) and a 100t/year pyroprocessing facility to convert and recycle fuel. We propose an accelerated timeframe for realizing the sustainable nuclear energy goals of the Generation IV reactor systems. A whole–system evaluation by an international group of nuclear and energy experts, assembled by The Science Council for Global Initiatives, reached a consensus on the synergistic design choices: (a) a well-proven pool-type sodium-cooled fast reactor; (b) metal fuel, and (c) recycling using pyroprocessing, enabling the transmutation of actinides. Alternative technology options for the coolant, fuel type and recycling system, while sometimes possessing individually attractive features, are hard-pressed to be combined into a sufficiently competitive overall system. A reactor design that embodies these key features, the General Electric-Hitachi 311 MWe PRISM  (based on the Integral Fast Reactor [IFR] concept developed by Argonne National Laboratory ), is ready for a commercial-prototype demonstration. We advocate a two-pronged approach for completion by 2020 or earlier: (i) a detailed design and demonstration of a 100 t/year pyroprocessing facility for conversion of spent oxide fuel from light-water reactors  into metal fuel for fast reactors; and (ii) construction of a PRISM fast reactor as a commercial-scale demonstration plant. Ideally, this could be achieved via an international collaboration. Once demonstrated, this prototype would provide an international test facility for any concept improvements. It is expected to achieve significant advances in reactor safety, reliability, fuel resource sustainability, management of long-term waste, improved proliferation resistance, and economics. When contemplating the daunting energy challenges facing humanity in the twenty-first century in a world beyond fossil fuels, there are generally two schools of thought . SACOME has put published a glossy portfolio edition of the 6-part series (9 pages in total) was done by me and Ben Heard for the SA Mines & Energy Journal – you may find this useful for family and friends! (some of these individual articles were already published on BNC and DecarboniseSA). Thanks to Megan Andrews and Dayne Eckermann for putting this together. The aims were to be: (i) easy to understand, (ii) concise but accurate, (iii) attractively presented, and (iv) to tackle the most common objections raised by anti-nuclear folks. Download the PDF here (5.5 MB) and distribute far and wide. The content covers generation IV technology, safety, radioactive waste, sustainability and carbon emissions of uranium supplies, small modular reactors, and economic competitiveness compared to other low-carbon energy options. The overarching context is nuclear as a solution to climate change. That’s what Ben and I really care about, after all. (Note that we offered this series gratis as a community service — we are educators, after all, and to us, dissemination of evidence-based knowledge is its own reward). This the final article in the SA Mines & Energy Journal series on nuclear energy (issue 24, pg 34), about the economic bottom line for nuclear. Ben Heard, my co-author, has also blogged about this on DecarboniseSA. And if you want a second opinion, read what Columbia University’s Jeff Sachs has to say (one of the smartest economists out there — I’d strongly recommend his 2011 title “The Price of Civilization“). It does not take long in any discussion of nuclear power before people want to talk turkey. How much does nuclear power cost? It’s odd that when it comes to nuclear power alone, some environmentalists morph into incredibly hard-nosed economic rationalists. If the solution can’t pay its own way from the get go, bad luck. That suggests a misunderstanding of not so much nuclear economics, but of energy economics more generally. It also hints at an ideological position if the same criteria are not applied elsewhere. In considering nuclear at all, we are looking to replace baseload fossil fuels at 100s or over 1,000 MW at a time. Take your pick of technology, including modern fossil fuels: that is never going to be a cheap task. There is no way around the “sticker shock” of a modern power facility. If we want new, large-scale energy generation in Australia, there is a large price tag, comfortably in the billions of dollars range. If, as we would argue, response to climate change demands that any new baseload is zero-carbon generation, then the options are (currently) restricted to the more expensive end of the range for capital costs (fuel is cheap or free for these technologies). So, what, in that context, can low-carbon options offer in terms of up-front cost? Let’s take some real-world examples (for details of the following calculations, see TCASE 15: Comparison of four ‘clean energy’ projects). If we take the oft-quoted Olkiluoto nuclear new build in Finland (oft-quoted because it is suffering major cost and time over-runs), we find that the new EPR design, with 1600 MWe of generation capacity, looks to be coming in at a cost of EU6.4 billion. That normalises to $6.0 bn per GWe when capacity factors are accounted for. 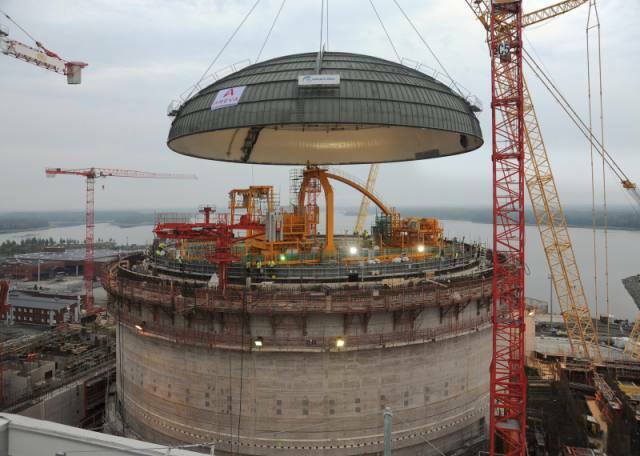 Dome 3 being lowered onto the Olkiluoto nuclear power plant in Finland. Cost is $6 billion per GWe, but with very high capacity factor. A large (600 MWe peak) planned wind farm in South Australia, with a proposed 120 MWe biomass generation as back-up, will cost $1.2 billion, plus and extra $0.2 billion for the connecting infrastructure. That’s about $6.9 billion per GWe. When we turn and face the sun,costs jump. Based on the proposed Moree Solar Farm, this large solar PV facility with no storage or back-up (i.e. not a true baseload solution) comes in at $19.6 billion per GWe. A concentrating solar thermal plant (based on the Spanish Gemasolar plant) with molten salt storage back-up can be had at a cost of $25.1 billion per GWe. This a new article written by Ben Heard and me in the SA Mines & Energy Journal (issue 23, pg 22-23), about the potential for small modular nuclear reactors. (Ben should get the primary authoring credit here — my job was to ‘enhance’ this one rather than lead the writing.) For comments, head over the the BNC Discussion Forum, here. Also, be sure to check out Ben’s reporting on the Walkerville ‘environmentalists for nuclear energy’ event that was held last Saturday. It was a great success! Back in August of last year, ‘born again’ nuclear advocate and long-time environmentalist George Monbiot made a surprisingly harsh call about energy solutions for climate change: “Small is useless”. Since the time of E.F. Schumacher in the early 1970s, we’ve heard the opposite. So what’s the deal? Home solar PV systems are small. South Australia has easily the highest per capita installation of solar PV with around 15,000 systems, but this only adds up to 19.8 MW of (peak) capacity. It would take around 215 times this level of installation, or over 3.2 million systems just to match the yearly energy generated by the 760 MW of the Northern and Playford coal power stations. Considering Adelaide has only 500,000 households, you can begin to see Monbiot’s point. Conceptual drawing of a two module reactor, featuring full underground reactor containment, reservoirs for emergency passive cooling (top left and right) and fully contained below ground spent fuel cooling pond (bottom centre). We need big solutions, solutions that can scale up. So what could possibly be good about the emergent technology of “small modular reactors” (SMRs) as a zero-carbon power offering? When people think about nuclear power, they typically envisage something large. Huge, in fact. That’s reasonable, given that today’s global nuclear fleet is made up of plants larger than 600 MW, with the new French EPR coming in at a hefty 1,650 MW. For context, the entire baseload generation capacity for South Australia is around 3,000 MW. 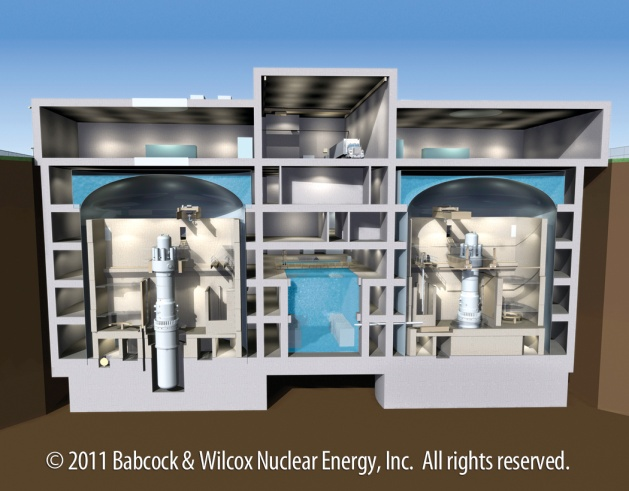 But now, something very different is emerging in nuclear: the small modular reactor (SMR). These units range up from as little as 25 MW to around 180 MW. Their commercialisation will dramatically increase the flexibility and relevance of nuclear power in a range of settings, and South Australia is a good example. As a mature, industrialised economy with a small population, South Australia’s overall growth in energy consumption is slow. It is difficult to envisage circumstances, any time soon, where there will be a strong case for an additional 1,000 MW of baseload to be added, all at once. So, for meeting new energy needs, nuclear power is on the outer. Of course, we have a looming need to replace a great deal of baseload generation, starting with the 760 MW of the Northern and Playford coal power stations. That’s more like the size for nuclear. But unfortunately it has been so long since Australia invested in significant quantities of baseload that we are staring down a big “sticker shock”: the upfront price tag is going to be tough to swallow. That will be the case regardless of the technology, but nuclear is on the pricier end before heading into super-expensive solar options (more on the cost of nuclear for our final article). This leaves us stuck with the high greenhouse options of incrementally adding more low-efficiency gas for peaking (with high fuel costs), and smaller modules of higher-efficiency gas for new baseload. But if nuclear power could be down-scaled… that changes things. What if, instead of purchasing 700-1000 MW all at once, you could buy 200 MW (or less) at a time, and work up from there? That is the promise of the small modular reactor: a compact, energy dense and zero carbon generating option for new power needs and fossil replacement in slow growing economies. Suddenly, the major capital raising challenge replacing 1,000 MW of baseload could be spread over a series of discrete investments, with returns beginning to flow much more quickly. Carbon offsetting of uranium mines? Below is an article I wrote for the South Australian Mines and Energy Journal on carbon emissions of uranium mines. (This, and others in the SACOME series, have also been published by my co-author, Ben Heard, on DecarboniseSA.com). This is a new version of a blog post I published on BNC a few years ago — but streamlined, simplified and updated. I hope you find it useful. 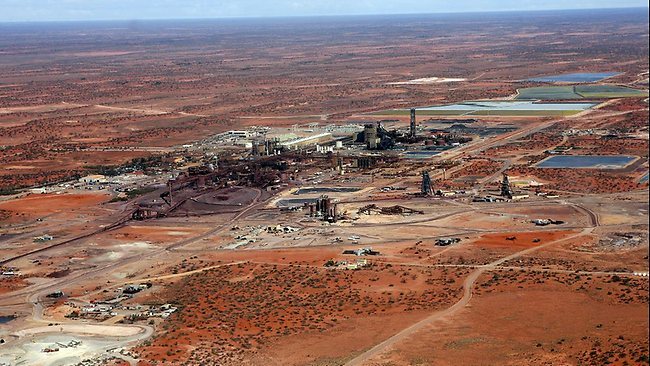 South Australia is host to the single largest known deposit of uranium in the world, at Roxby Downs. The recent plans to massively expand production at its Olympic Dam mine will take uranium production from 4,000 tonnes of uranium oxide (tUO2) in 2010-2011 to 19,000 tUO2 by the early 2020s. This enlarged open-cut polymetallic mine, run by BHP Billiton, will also produce 730,000 tonnes of copper (the principal product) and 25 tonnes of gold. Some environmentalists have objected stridently to this plan for an expanded mine, including Greens MLC Mark Parnell who said: “Our state risks being left with a huge carbon black hole as we become the greenhouse dump for one of the world’s richest companies“. Such hyperbolic claims are easily made and can sound persuasive. But are they be supported by evidence? Let’s consider the accuracy and context of such an argument from a climate science perspective. The greenhouse gas emissions from the mine expansion will come predominantly from heavy use of diesel and other liquid fuels for vehicles and mining equipment, and a 650 MW increase in electricity demand (likely gas powered), including the supply of 200 ML/day of desalinated water to the site. The result is that carbon dioxide equivalent emissions could peak at 4.7 million tonnes per year (tCO2-e). The Environmental Impact Statement acknowledged this would add almost 10 per cent to South Australia’s forecast emissions in 2020 under a business-as-usual scenario. Now, let us consider the net effect of this on global greenhouse gas emissions. The uranium from the expanded mine will fuel nuclear power plants in countries like the U.S., France, U.K., South Korea, China and Japan, to be used for electricity generation. A modern 1,000 MWe thermal nuclear reactor requires about 170 tUO2concentrate each year, in order to fabricate 16 tonnes of slightly enriched fuel rods. This plant will then produce 8,000 gigawatt hours (GWh) of reliable, on-demand electricity, used to directly displace baseload coal or gas.